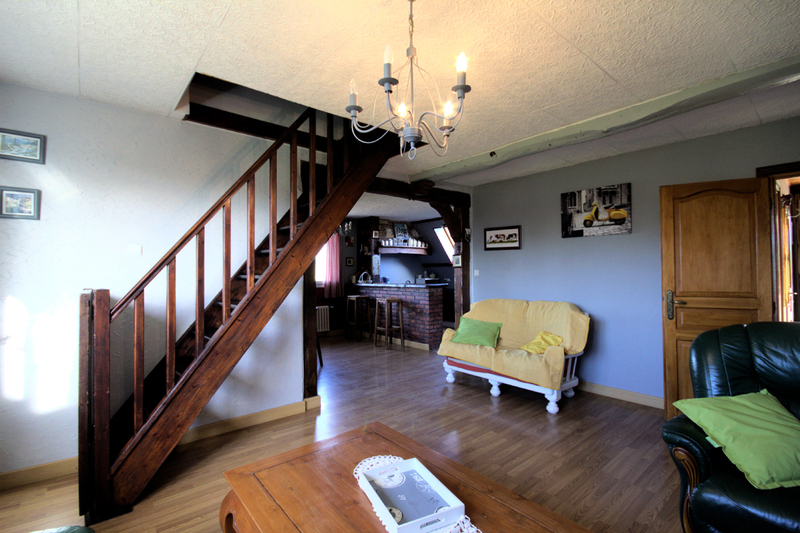 Holidays or weekend with your family or your friends, a few kilometers from Honfleur. 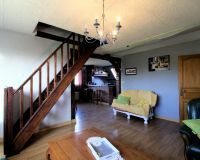 Located on the 1st and 2nd floor of a large contemporary building, this comfortable cottage is close to the Côte fleurie and the Pays d'Auge. Well equipped and offering a nice view over the Norman bocage, the accommodation is located in the heart of a 3 hectare property in the countryside. Honfleur and Deauville are close and numerous walks are in the immediate vicinity. Gite adjoining another cottage on the ground floor (ref. 1044 for 5 pers.). 1st floor : entrance, living room with kitchen area, 2 adjoining bedrooms (1 double bed 160x200 cm, 1 double bed 140x190 cm), 2 bathrooms including 1 with toilet. 2nd floor : 3 bedrooms (3 double beds 140x190 cm), toilet. A 500 m² private garden, not overlooked (just the opposite the cottage ref. 1044). Shared by both accommodations : swing, trampoline, table tennis. Bed and breakfast also on-site.